What Are the Side Effects of Too Much Caffeine? Caffeine, usually in the form of coffee, tea, caffeinated sodas, and energy drinks, is often consumed to increase cognitive functioning and improve a bad mood. Indeed, many feel like they can't function until they get their first cup (or two) of coffee. 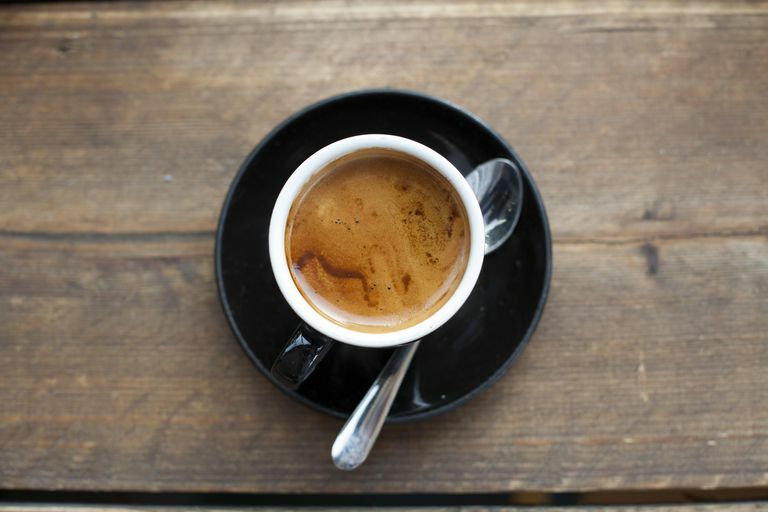 Caffeine can have these benefits—and more, as noted in this article about caffeine, stress and health—but there can be side effects to be aware of. Knowing how much may be too much can help you know when it might be time to pass on a refill. Many people simply love the taste and aroma of a good cup of Joe, and the caffeine that comes in coffee is an added bonus for those individuals. But there are many people who solely drink coffee or other caffeinated products for the jolt that it gives them. Caffeine is a stimulant, and some studies show that small amounts of caffeine may improve your mental response time. Other studies show that caffeine doesn't just give you a momentary mental boost, but also has long-term effects on thinking skills. Most adults don't experience the effects of caffeine intoxication while drinking less than 250 milligrams of caffeine (about 2.5 cups of coffee) per day. You are more likely to experience negative side effects if you drink more than the recommended 400 milligrams per day. Caffeine can act as a diuretic, so it was once assumed that drinking too much coffee or other caffeinated beverages would cause dehydration. However, researchers found that your body adjusts to your caffeine intake, so drinking caffeinated beverages won't increase your need for water. Beware of caffeine pills and powders that promise to deliver a jolt quickly and effectively—they do exactly that. These products can deliver large doses of caffeine in a very short amount of time. People with underlying medical conditions should be particularly concerned as they could be more susceptible to the negative effects. If you have been wondering whether you need to curb your caffeine intake, first consider if you have noticed any particular sensitivities to caffeine. Take your medication use into consideration as well. Since caffeine can affect medication absorption and interact with certain medications, the following recommendations may or may not be appropriate for you (speak with your doctor). It seems that experts who study caffeine agree that consuming up to 400 milligrams of caffeine per day is safe for healthy adults. That's roughly the amount of caffeine you get from four cups (not giant mugs) of coffee. Breastfeeding or pregnant women may want to decrease that amount or skip caffeine altogether because, even though a mother may be able to handle the caffeine, baby's barely developed metabolism still can't. There is also conflicting evidence on whether caffeine consumption during pregnancy leads to adverse birth outcomes, and so the American College of Obstetricians and Gynecologists (ACOG) suggests only a “moderate amount” of caffeine during pregnancy. That is defined as less than 200 milligrams per day. Less is known about caffeine use in kids, but limiting or avoiding it is probably best. Since caffeine has an effect on the central nervous system as a stimulant, and children's brains are more sensitive to caffeine than adults, it may cause hyperactivity, anxiety, and affect sleep patterns. Currently, the U.S. Food and Drug Administration (FDA) has no guidelines for caffeine consumption, but other countries suggest that kids age 4 to 6 years should have no more than 45 milligrams a day (that amount can be reached by consuming a 12-ounce cola). Kicking the caffeine habit cold turkey isn't recommended. Caffeine withdrawal can give you headaches, make you crabby, give you muscle aches, and generally make you feel miserable for a few days. The withdrawal symptoms will pass after a week or so, but blending regular caffeinated beverages with decaf for a few days might help with the transition. Smith AP. Caffeine at Work. Hum Psychopharmacol. 2005 Aug;20(6):441. Temple JL. Caffeine Use in Children: What we know, what we have left to learn, and why we should worry. Neuroscience and biobehavioral reviews. 2009; 33(6):793-806. doi: 10.1016/j.neubiorev.2009.01.001.